Rare Exports could well have been half of it’s run time and still achieved the intended outcome. Considering it comes in at a measly 84 minutes already, you can see the startling problem with the movie. It is a very good idea, with some very good moments, but just lacks the required depth to pull them off. It is a movie of two halves. The first is a tense mystery. What have the mountain drilling team uncovered? Is it evil Santa as Onni Tommila’s Pietari believes? If so, how do you stop the child-hunting monster? Unfortunately for Rare Exports, the first act is the weakest element. The audience already know what it is, as does the central child actor and we are left watching him desperately try to convince everyone else around him while they sulk miserably. To say the pace of the first act of the movie is slow is an understatement. The movie does pick-up once “Santa” is finally revealed. All credit to Peeter Jakobi, who plays the evil version of the iconic character, as he sells the “monster” very well. The creepy way he sits and remains motionless, covered in blood, mud and beard, ramps up the tension in these scenes. 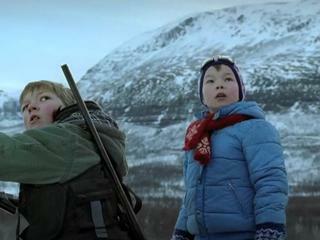 Pietari’s Dad, played Jorma Tommila, and his incompetent friends, clearly out of their depth, help sell the fear further. The design of this version of Santa is great and it is unfortunate that there wasn’t more of this aspect of the movie for a longer portion of the run-time. What this second act leads to is something far stranger. 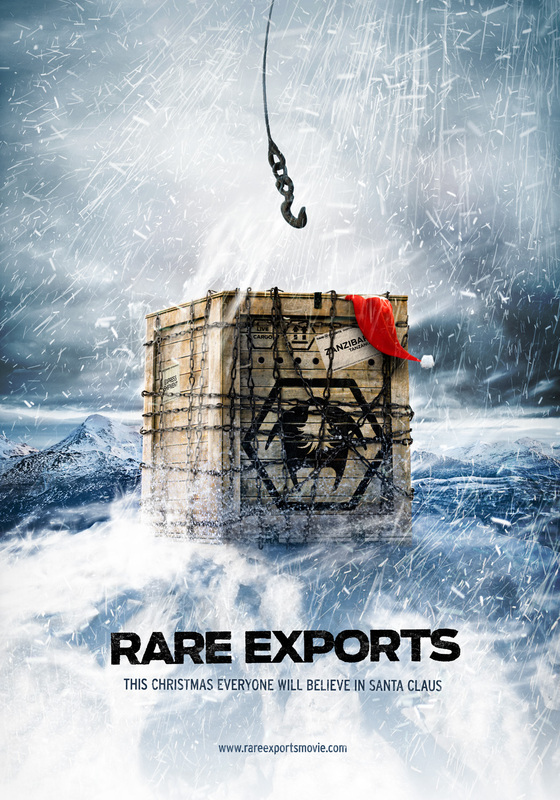 Rare Exports isn’t exactly your run of the mill movie anyway, certainly not by Christmas standards, but people will struggle to see the “twist” that emerges at it’s third act. Yet again, it becomes a different type of movie entirely and you can’t fault the ambition of the creators as they try to bring the end to life. Unfortunately, budget is tight and what would work excellently isn’t quite realised to it’s fullest extent. That doesn’t mean it is badly executed, there is still a lot to enjoy and the ideas within the movie, final act included, are very clever, it just needed a little bit more money to truly bring the idea to life. That goes for a lot of Rare Exports. It is a very unique prospect and will split people. Some will come away baffled and wondering what the point of the whole movie is. Others will enjoy the ideas on show here but may curse the lack of credible means to fully realise what was intended. Overall, Rare Exports is a good idea which needed a little bit more development. There is time and care taken to build the story but this is done far too slowly and becomes dull, then when the action does begin, it lacks the development and depth you so sorely wish it had. Maybe a Hollywood remake could be on the cards, with a budget and chance to rectify some issues.